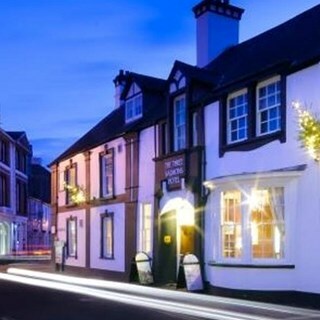 Nestled in the beautiful market town of Usk in Monmouthshire is The Three Salmons Hotel. The Three Salmons is over 300 years old and is a much-loved cornerstone of the community. The Three Salmons is a venue for all seasons. 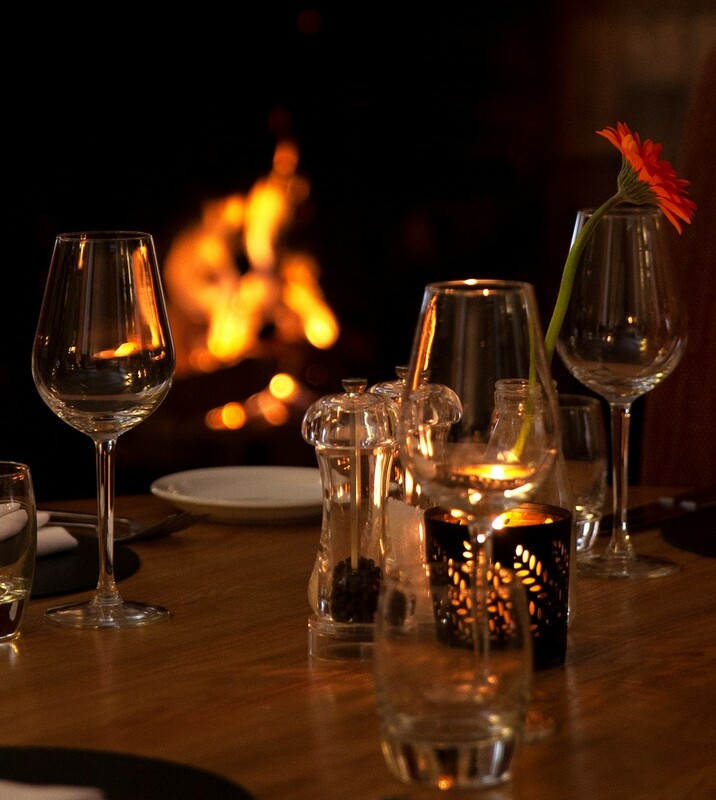 The award-winning restaurant regularly receives praise and accolades for its unrivalled hospitality and superb food. The head chef brings his creative ﬂair to the kitchen and adapts menus seasonally to showcase a delectable range of ingredients from local producers. On the main menu, you can expect to ﬁnd starters like ham hock terrine with piccalilli, crispy capers and fennel toast, as well as sun-dried tomato and mozzarella arancini served with rocket, spicy balsamic and heritage tomato jam. Follow with slow-cooked lamb shank served with smoked garlic mash, roasted root vegetables and red currant gravy or perhaps opt for panfried hake accompanied by chorizo, crushed new potatoes, winter vegetables and chilli butter. The Three Salmons also has 13 en-suite bedrooms, so why not stay the night and make the most of this fantastic venue? The particular waiter we had was amazing. Nothing was too much for him and engaged us in conversation. Food was delicious the risotto was outstanding even the sides of onion rings was crispy but non greasy. Will return for sure. The afternoon tea was lovely, very attentive staff. Sandwiches very basic. Scone quite heavy. Cakes with Butter cream. Manager and waiting staff very polite and friendly, great service. Although we were early by an hour no trouble at all afternoon tea was served promptly.. Took my mum and dad for an early mothers day and they were very impressed. Well done! Lunch for 7 plus dog having a family birthday celebrations . Food good and hot ,service very pleasant and helpful although a little slow . We all enjoyed the lunch will go back again . Many thanks . We all enjoyed our afternoon tea. Lovely service, lovely people couldn't be any more helpful. For our taste it would have been nice to have more variety on the menu, perhaps more simple dishes but we didn't ask and I'm sure we would have been accommodated as everyone there couldn't be lovelier. Lovely stay and would definitely recommend. Staff are both very friendly and helpful. Not blown away by the cooked breakfast ... nothing wrong with it per se, just not as good as the high standard of food we normally enjoy here. The tea got cold very quickly but otherwise was very good. Lovely mother’s day meal with a present for both mothers. Friendly staff who couldn’t do enough to help make the day really special. Would definitely go again. Well done to the whole team . Mothers Day Sunday lunch was the worst meal I’ve ever had. Pate was bland, bread was stale. Beef was so tough you needed a steak knife to cut it. Cauliflower cheese and roasties were burnt. I’ve had better mousse for 99p in Asda. Informed staff that meal was poor and the response was i’ll tell the chef! Avoid if you are out for a tasty meal! Thank you for review, I'm sorry to hear that you did not enjoy your Sunday Lunch, We served 130 Sunday Lunches for Mother's Day with more than half choosing the Roast Beef. We have received many 5* reviews complementing us on our food and service, there was no other negative feed back on the day or since. I'm really sorry that you felt you had a poor meal, but we would very much like you to come back again. Really good service, and nice lunch to go with it. Venue looks tired and could do with upgrading. Staff very attentative and friendly.. Thank you. The staff and food were exceptional. Despite it being busy, the service was outstanding, friendly and understanding. We ll be back and would definitely recommend it. Very pleased with everything,  Service, location, room, food, ambience and value for money. I will recommend to friends/colleagues, and I will return. Thank you. Excellent lunch and traditional high service standards. Pleasant surroundings, a convivial atmosphere and seating well spaced from other diners. There was a long delay in taking our order and the food actually being served. The Waiter did explain that they were experiencing delays due to a large party upstairs, However we did not mind the delay had when the food came out it was luke warm. It was dry, overcooked and had been hanging around for a long time. The Waiter did take money off the bill but he only took it of the main course instead of the whole bill. I was very disappointed and overall would not return in the near future. This was an Anniversary present from my Son and I was very disappointed.